Ken & Linda Sharples visited the new Dordrecht Mayor Mr Kolff, on 11 th May 18 to discuss the future of twinning between the two towns. Picture also shows M/s Wilma van der Plicht the principal contact in Dordrecht for twinning. In the weekend 5th and 6th May, liberation day in the Netherlands, sistercity Dordrecht will visit Hastings and play a chessmatch against the Hastings & St.Leonards club. They will also enjoy the festival ‘Jack-in-the-Green’. A chess match takes place Saturday 5th May start 13 hrs. 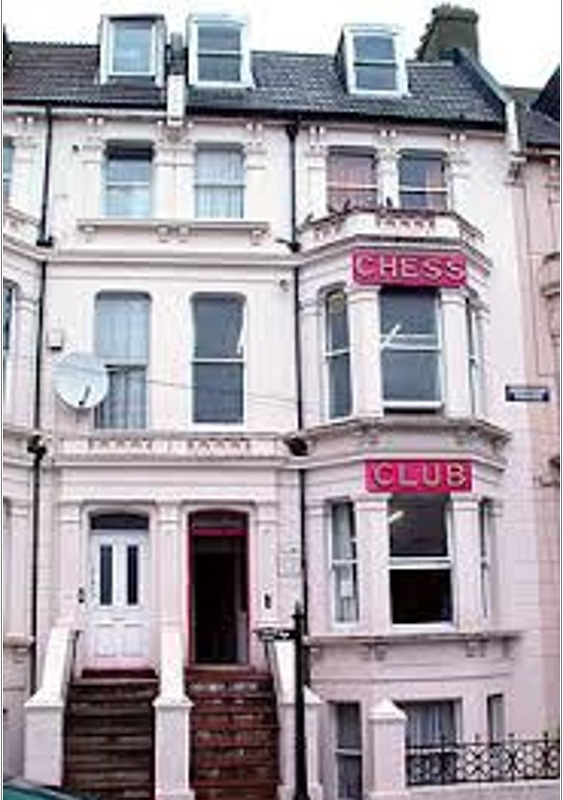 History goes back more then 60 years between Chessclub Dordrecht and Hastings & St. Leonards chess club. 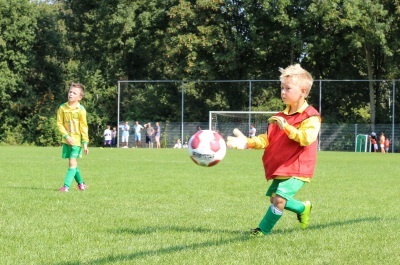 The champion of Dordrecht was invited yearly to play in the world famous tournament. One of them is Leo Jansen, now at the age of almost 90. He has been one of the leading chess players from Dordrecht amongst his fellowplayers Pank Hoogendoorn and Henk van Donk. Mr. Jansen invented the now world famous chessopening called ‘The Black Lion’. Later many chessplayers from Dordrecht came to Hastings, for instance mr. Jan Willem Versloot, secretary from Dordrecht and now also part of the team of Dordrecht, which consists of 21 members. The last contacts were already from 22 years ago. The English chessfriends from Dordrecht invited Dordrecht over to celebrate the 100th tournament in Hastings, held around the New Years Eve. 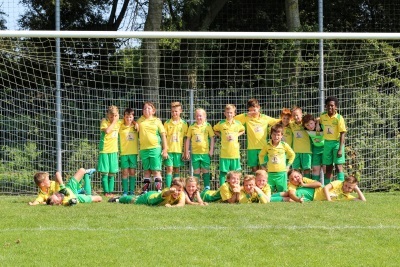 This year Dordrecht became 130 years old (founded in 1888) and decided to retain the contacts with Hastings again. 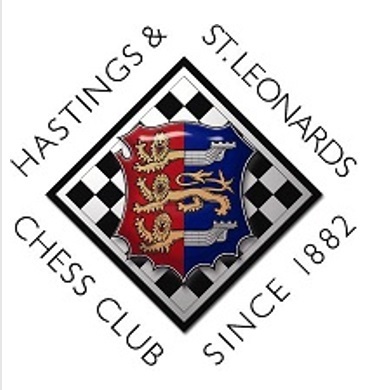 This was gladly accepted by Hastings, resulting in the match to be played on 5th May in the beautiful building from chessclub Hastings & St.Lenonard. Strongest player on Dordrecht’s side is International Master Mark Timmermans. He was also leader of the delegation from Dordrecht which visited their other sistercity Recklinghausen in 2014. 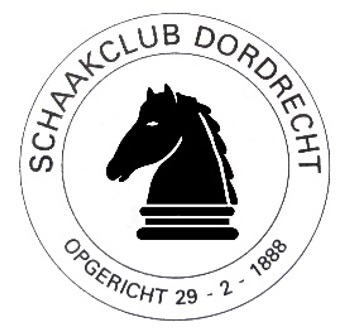 Chairman of Chessclub Dordrecht Arend van Grootheest is proud that the tradition is again re-established: “It’s a good thing that 21 players are willing to leave their home and sacrificy their weekend for the chessclub’’ meanwhile smiling with a wink to organisator Ton Slagboom from SCD. In the fifties chess visits from Dordrecht to Hasting were mayor news, even on the frontpages in both countries! 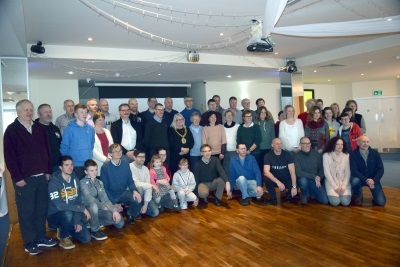 Hastings half marathon runners from Dordrecht and Oudenaarde, presentation of prizes at the Azure Restaurant on 18/03/2018. The water polo link is 70 years old this year. 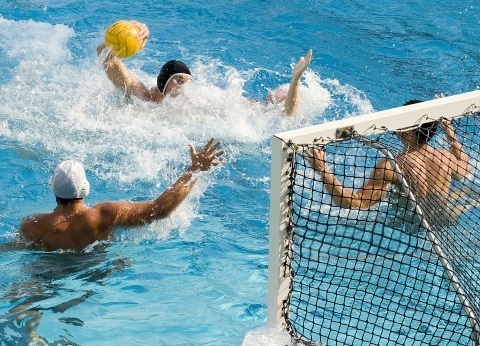 The water polo link is 70 years old this year - it started in 1947. As part of the Hastings Week celebrations a team from Dordrecht will again come across to compete for the magnificent Observer Trophy. The match is on Saturday October 7th at Summerfields Leisure Centre. Mijnheer Arno Brok, Mayor of Dordrecht, will shortly be leaving his job to take up a new post as Regional Governor of Friesland, appointed by the King of the Netherlands. 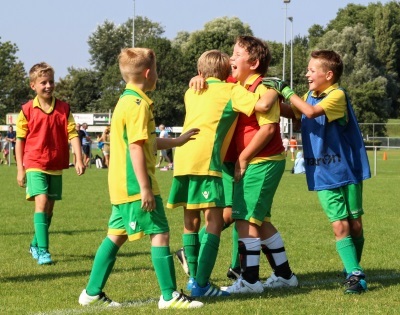 For the second year in a row Westfield Football Club, in conjunction with Pass+Move, continued to develop their strong links in Holland by taking five teams across to Dordrecht to play in a tournament hosted by SV Oranje Wit, a feeder club for Feyenoord. The tournament took place over the August Bank Holiday weekend, with the group setting out on Friday from Hastings. This year saw the size of the party double to over 120 people following the huge success of last year's trip. The football tournament on the Saturday was a huge success with all teams performing well and delivering the kind of football the Pass+Move team has begun to instill in the Westfield FC youth setup, something which this season has been recognised by the FA with the award of the Chartered Standard Development Club of the Year for the entire South East of England region. Special mention goes to the u8s who went as far as to win their tournament. 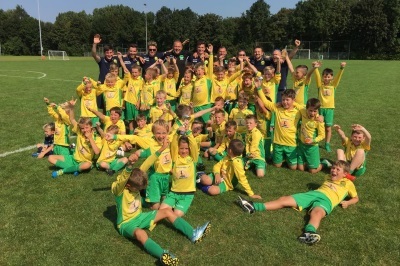 Yet the true value in these trips has been the opportunity for these young footballers to play abroad and experience the game and the culture of Holland, and Hasting's Twin Town of Dordrecht. A huge thank you goes to Erik van Vugt and SV Oranje Wit for being such incredible and gracious hosts and the Hastings-Dordrecht Twinning Committee for their continued help and support. Next year will hopefully see the Dutch hosts travelling over to Hastings to play in a local tournament and enjoy our wonderful town. Twinners get all steamed up. 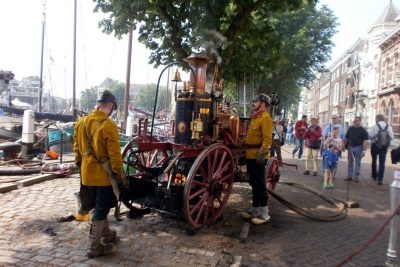 A group from the Hastings-Dordrecht Twinning Association has just returned from a packed weekend in Dordrecht, to experience "Dordt in Stoom", Europe's biggest steam festival. For two days, the streets and waterways of Hastings' beautiful Dutch twin town are full of steam-driven vehicles and machinery of every kind. The group was welcomed at the historic Town Hall by the Deputy Mayor. Alderman Sleeking warmly praised the Hastings-Dordrecht link, which goes back unofficially some 60 years. He hoped that the residents of the two towns would continue to get to know each other through trips and exchanges. On Friday evening, the twinners watched the spectacular parade of boats of every size on the river, and on Saturday they enjoyed trips on river boats, veteran buses and trains, and admired the steam-driven traction engines, merry-go-rounds, fire engines and miniature railway layouts along the quaysides. Shanty singers and folk groups provided a very spirited musical background, and Dordrecht's many restaurants, cafés and street food stalls kept the crowds well supplied with Dutch specialities and cold beer. On Sunday, on the way home, the group took a boat trip around the 19 magnificent windmills at Kinderdijk. The traditional windmills still play an important role in the Netherlands, pumping water out of the low-lying farmland. The group finished a very enjoyable weekend at Bergen-op-Zoom, the Dutch twin town of our own Belgian twin, Oudenaarde. After a fine lunch, the twinners were given a short tour of this beautifully preserved historic town  and many declared they would certainly return to get to know it better. 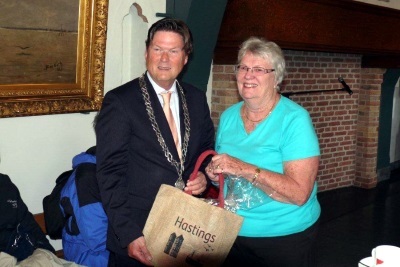 For more information about the Hastings-Dordrecht Twinning Association, ring 01424 433834. 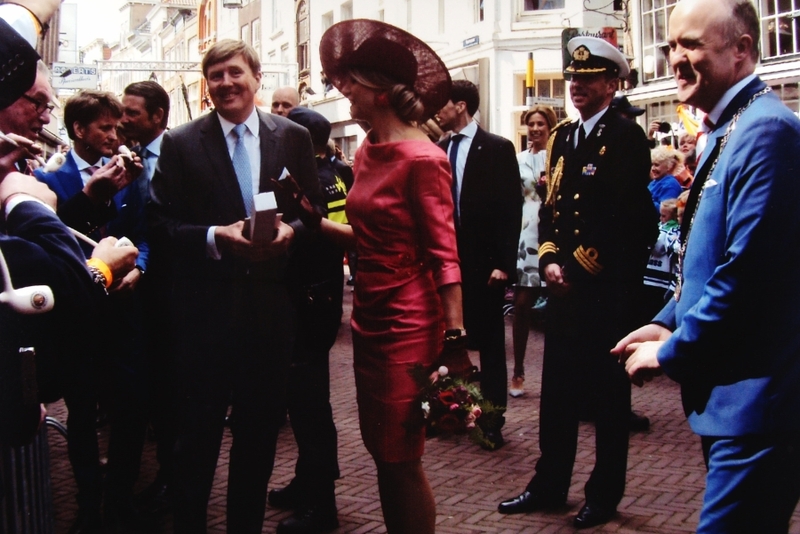 Royal surprise for group on Dutch twinning visit. 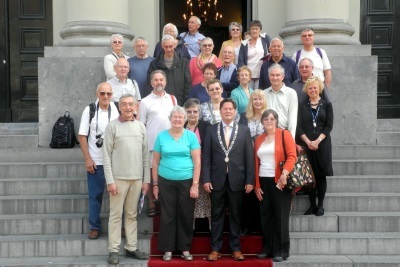 A group from the Hastings  Dordrecht Twinning Association, including the mayor Councillor Bruce Dowling, joined the Dutch celebrations for the Koningsdag (King's birthday) during a recent visit to twin town Dordrecht. 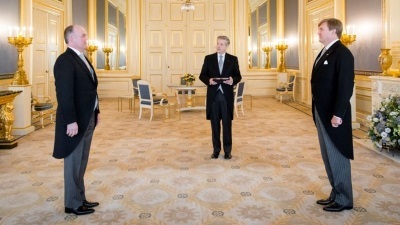 They were made very welcome by the mayor, Mr Brok, and several of the group met the King and Queen of the Netherlands. After a chance meeting with Paul Smith, chair of the Hastings International Chess Congress, Robin has been sent information about how chess-players from our twin town could participate. He can share this with other committees if they are interested.